Shock Report – A Socialist Actually Says Something Useful! Don’t panic, it’s not a political rant. I leave them for my other blog but I will state I am very anti-socialist in my opinions. And for those who really care that much about my political allegiances you can find them here. there is nothing more important than a visit to the dentist." There's obviously a lot of truth in this, but you're probably mildly curious as to why I'm boring you with the musings of a long departed playwright... and much worse than that... an active socialist to boot! Yes, an active socialist! Have you any idea how much it grieves me to admit that an active socialist once said something useful - albeit by accident? Admit it. You're stunned. You can't believe that an active socialist once said something useful either can you? You now know what he said, but can't quite work out why it's particularly useful. You want to know don’t you? You see, if we follow the scenario through, the person with a toothache probably thinks that Dentistry is just about the most important profession in the world. 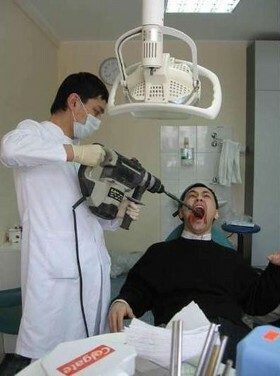 He'll be convinced that Dentists must be in great demand. If he's got a toothache he thinks, then other people must have or had toothaches too. Just imagine all those poor people in agony... eager to part with their hard earned money in return for an instant relief from the terrible pain. Yes, dentistry is the business to be in. Surely it can't fail! If you want to make money - and truck loads of it too - become a Dentist. But what about the man who doesn't have a toothache? In fact he's never had a toothache in his whole life. "Dentistry? He asks... what kind of business is that? A complete waste of time in my opinion. Who in their right mind would pay good money to have someone poking around in their mouth? If you want to lose your shirt in business, become a dentist!" but do you get the point I'm making? It's in our human nature - a natural process - to look at money making ideas and projects in terms of our own wants and needs, and promptly dismiss them if they don't fit in. Even I myself am not immune from this. I once attended a job interview (in the days when I had a proper job) with a company which sold book club memberships door to door. I thought it was a terrible product, and a really intrusive way of marketing, and wasted no time in telling the interviewer that I couldn't possibly get involved in marketing a product which I wouldn't buy myself. "Do you use sanitary towels?" he said. I had to admit that I had already reached the age of 25 without feeling the need to go out and buy that particular product. "Well do you think other people might want them?" was his reply to my negative response. On reflection, it was easy to see that he was right and I was wrong. You see, I thought book clubs were a lousy idea, but plenty of other people disagreed with me and wanted to be a part of them. I had made the mistake of arrogantly assuming that because I didn't want or need something, no one else did. Well over the last 12 years or so, I've seen many hundreds of people get started in a wide variety of business and money making projects. Not one of those projects has avoided the same "no one could possibly be interested in that" response from at least a few people. And yet every single one has formed the basis of a highly successful business for these owners. It seems the people who have rejected these ideas did so because they would not personally use the product or service, or did not have a need for it themselves. Given that we all have differing needs, wants and aspirations; the folly of this approach becomes all too apparent. I should know... I’ve made the same mistake! Anyway, to return to our analogy courtesy of ‘Red George’, as he shall be known from now on, the lesson would seem to be this... Don't just go on gut feeling or your own personal needs. If you've got a toothache, find out how many other people also have a toothache. 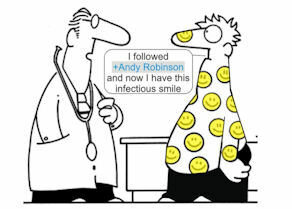 You never know - you could be the only one, in which case dentistry has no place in the modern world. And if you've never had a toothache, find out if others are less fortunate. You might find that you're the only one with healthy teeth! Lucky bastid! !